This is a skill based project. 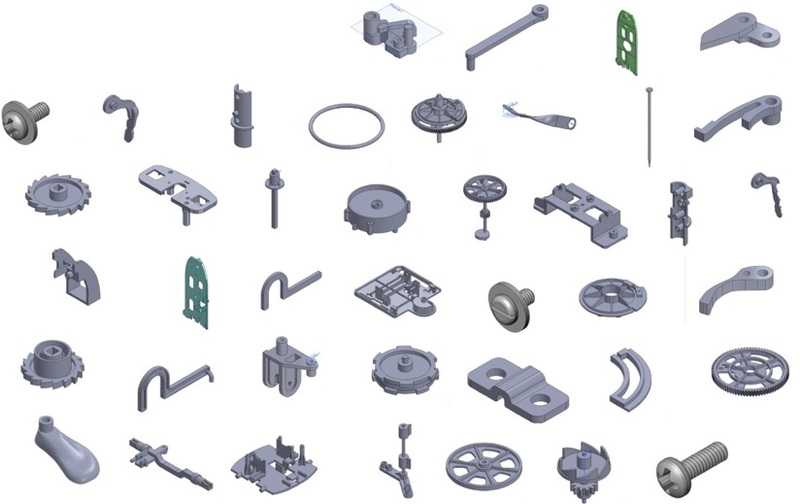 Using Solidworks, replicate all the internal mechanical components of an existing product. Then, redesign the product with some change in function. 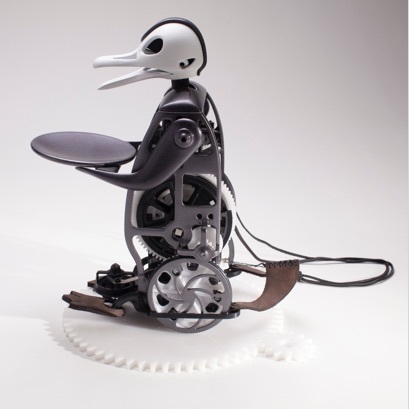 New take on Japanese tea-serving Karakuri with dark steam-punk aesthetics inspired from bird’s skeleton. Showcase the internal mechanism instead of hiding with clothes. 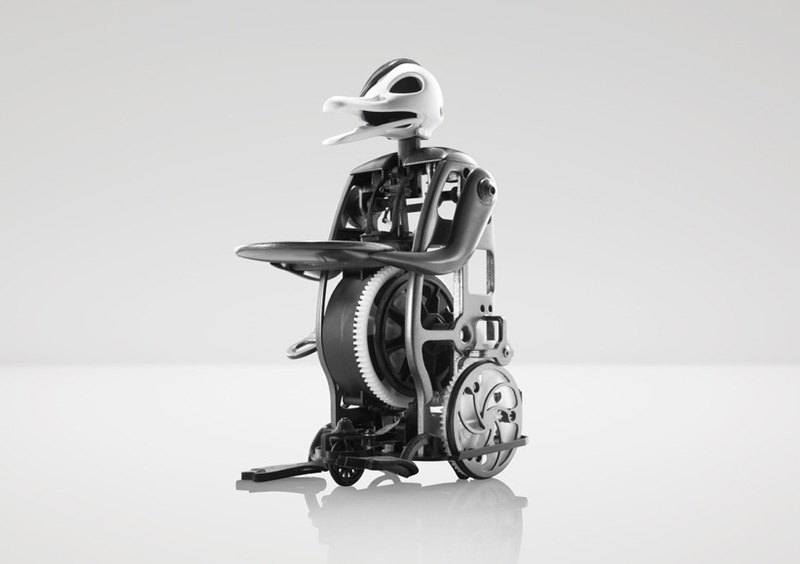 Design the balance of organic - mechanical aesthetics. 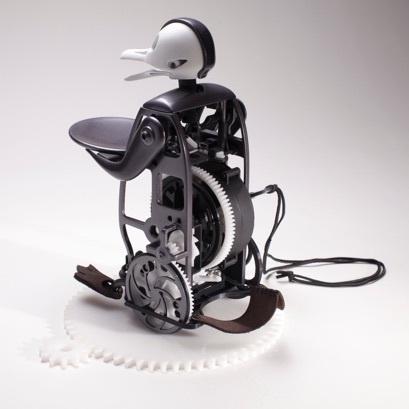 Addition of bird like motion to the mechanism. 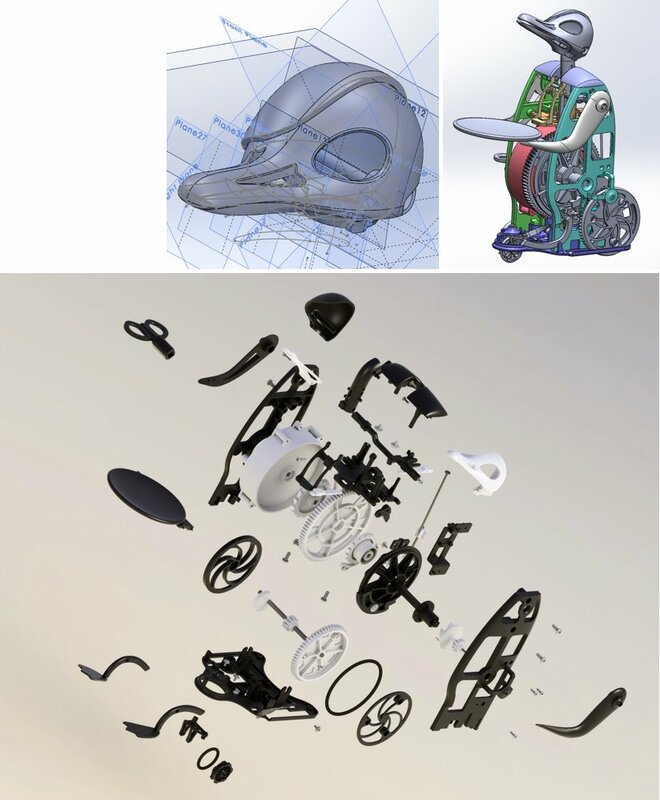 Challenge Solidworks with organic form giving using surface modeling. 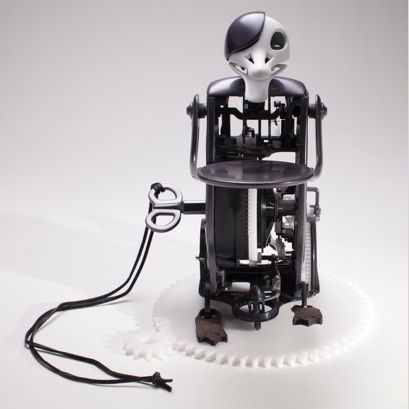 Karakuri is a Japanese traditional automaton that was invented and enjoyed among people during Edo period (17th century). Traditional Karakuri-dolls were made with all wood, and whale baleen was used as spring. Tea serving doll is one of the most famous. 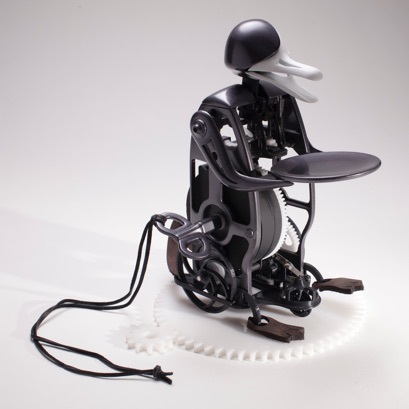 In 2008, Gakken made a replica kit. It still has the same mechanism as original, but made of plastic. 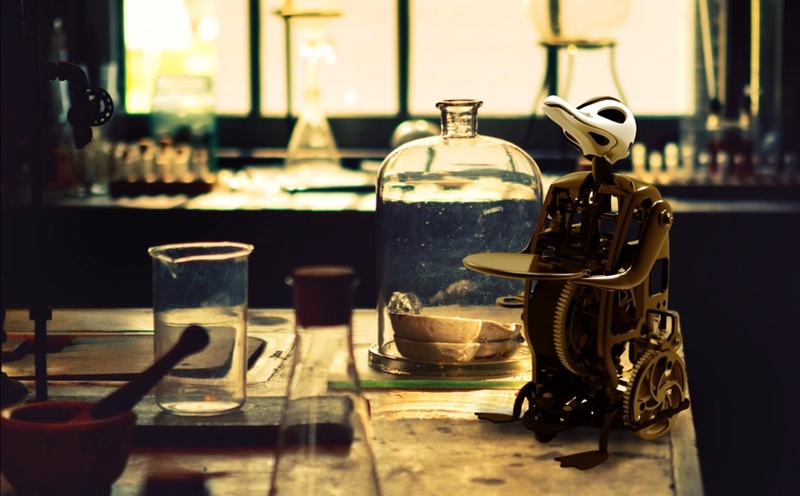 I used this kit to learn the mechanism, and redesign the Karakuri-doll. Soon, it was clear that there was something special about being able to see the mechanism. 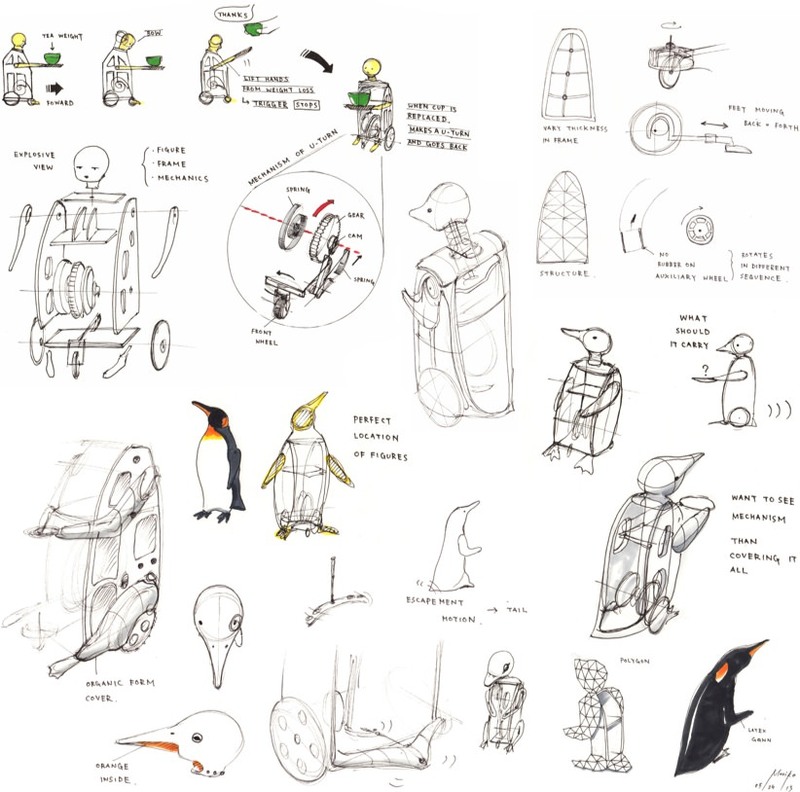 Also, the idea of making it to a penguin rather than human was developed in early stage. Using calipers, all parts were measured and modeled. Reusing some components from the kit, final piece was modeled. Organic form giving was realized using surface lofting. 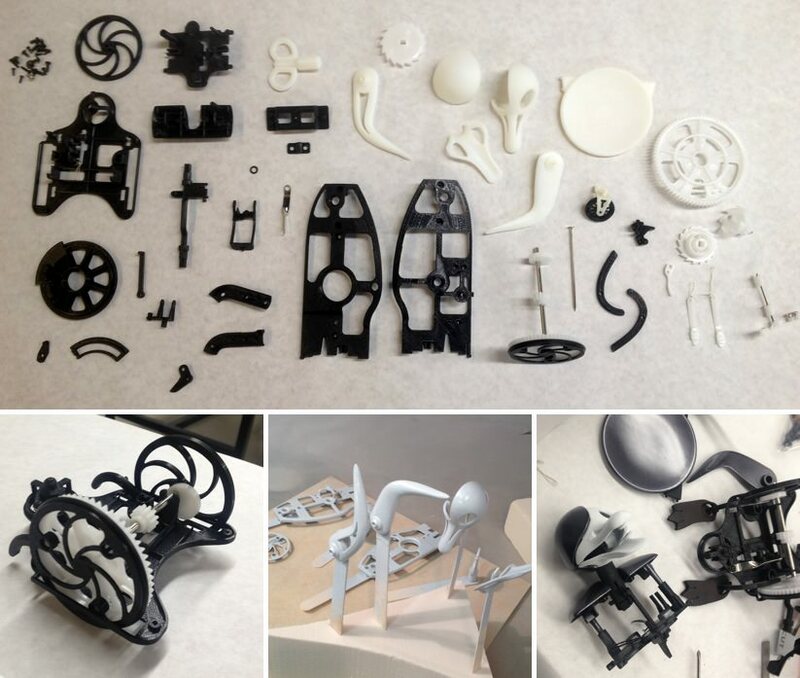 Parts were printed using uPrint FDM printing, and Objet printing. Testing the printed parts. Tolerance was a huge issue to deal with. Priming, sanding, and painting some parts. Others were kept raw. Assembly. Feet and tail were made by laser cutting leather. Very Special Thanks to Pascual W. for Advice, and Support.